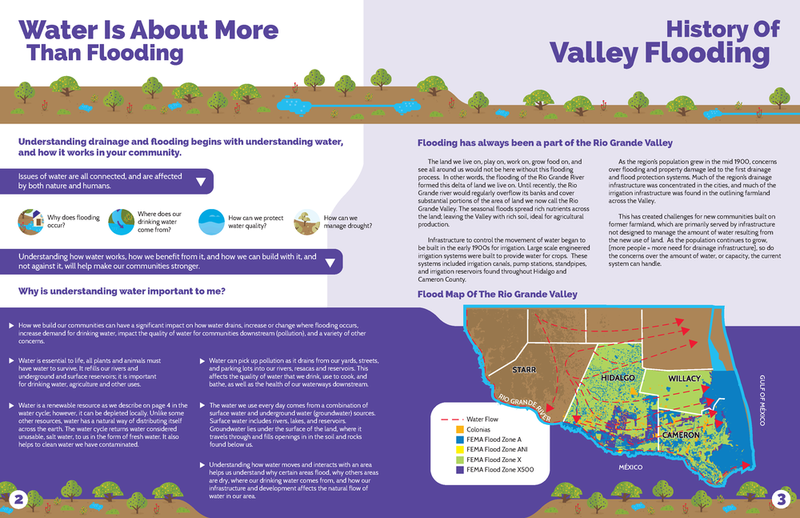 “Why does my neighborhood or do parts of the valley flood?” Flooding can be caused by a variety of different reasons. 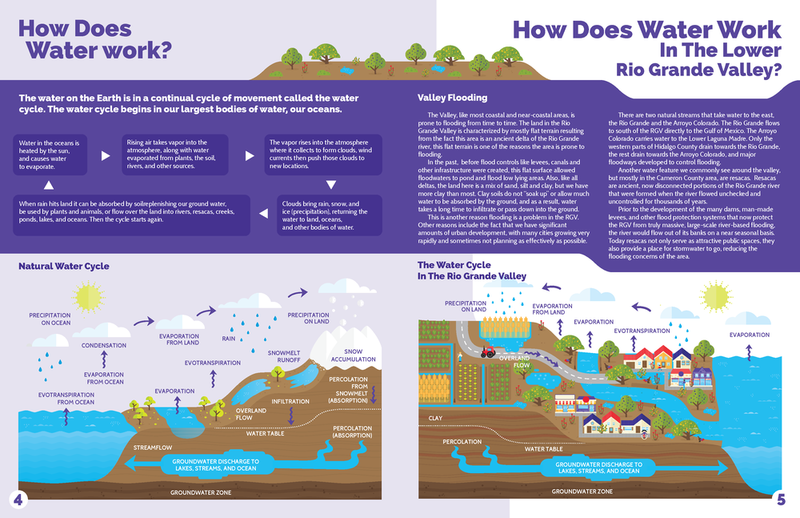 In the first level of the drainage module, readers learn about the water cycle and conditions in the Lower Rio Grande Valley that make it especially prone to flooding. 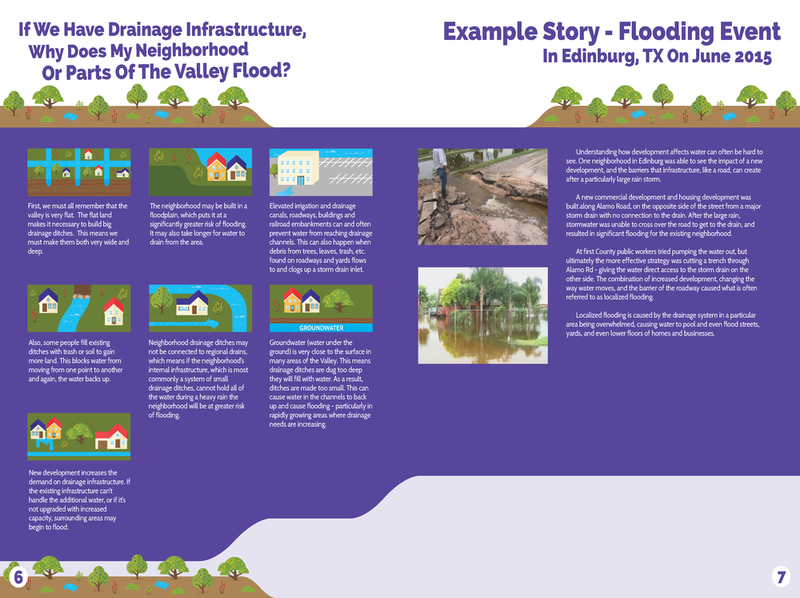 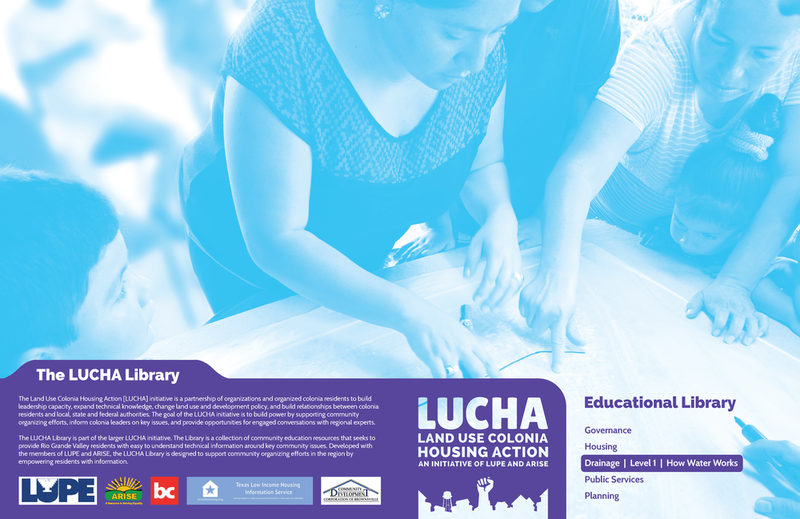 By learning to identify different causes of flooding, readers can begin to understand which drainage solutions to advocate for in their neighborhoods.